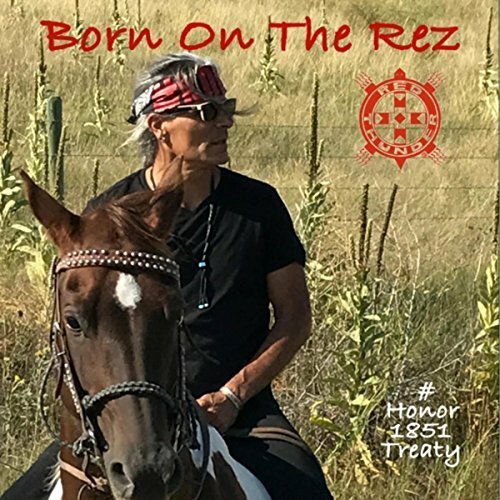 #Honor1851Treaty Music Campaign Rallies Artists In Support Of Native Rights, Feat. New York, NY (September 17, 2017) – Robby Romero, (Red Thunder) Native Rock music pioneer behind Native Children’s Survival, and American Indian Movement elders, Dennis Banks, Madonna Thunder Hawk, and Phyllis Young, are joining forces with PledgeMusic to launch a pre-order campaign in support of Born On The Rez, a new single, music video, public service announcement, and rockumentary film dedicated to continuing missions born out of the Standing Rock movement. Launching in honor of the Fort Laramie Treaty of 1851, signed on September 17, 1851 between United States treaty commissioners and representatives of the Cheyenne, Sioux, Arapaho, Crow, Assiniboine, Mandan, Hidatsa, and Arikara Nations, the campaign taps music fans and supporters of Indigenous rights and culture in an effort to raise awareness of the wisdom in upholding and honoring Treaties made with Native Nations. Supporters can pre-order the music video, rockumentary film and music on the #Honor1851Treaty campaign page. The leaders in direct-to-fan platforms, PledgeMusic allows artists to get more personal with their fans and supporters, offering unprecedented access to the creative process behind their passion projects.